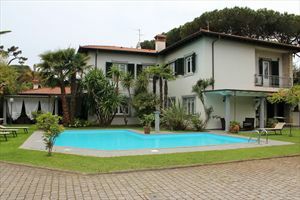 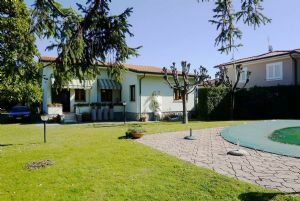 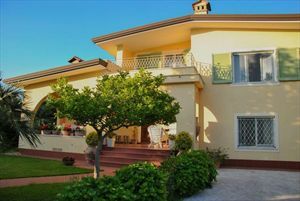 Detached villa (180 m2) with a garden and an outbuilding located in the central zone of Forte dei Marmi, 400 meters from the sea. 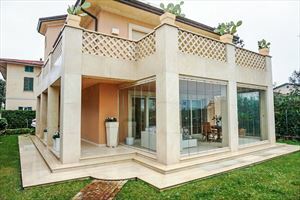 The villa has three bedrooms, two bathrooms, a living room with a dining table, kitchen with dining area, a covered terrace with outdoor furniture. 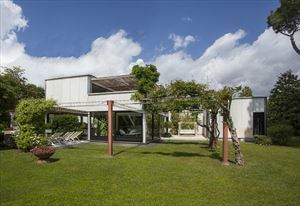 The outbuilding comprises a double bedroom, bathroom, kitchen, laundry. 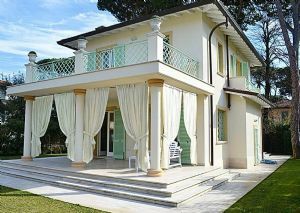 The villa is equipped with alarm system, air conditioning, satellite TV, Wi-Fi, automatic gate. 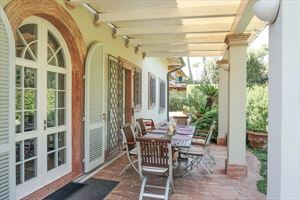 There is a garage, parking and barbecue in the garden.